A 12 page concertina leaflet. A 24 page A7 stapled booklet. Litho printing onto 350gsm silk art board. A7 cards can be folded on the long or short edge. Supplied creased but unfolded. Print4biz - A7 printing price list. 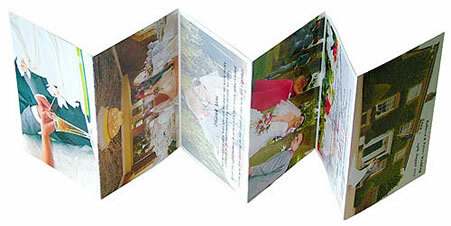 A7 flyer, leaflet, card, booklet and brochure printing. Free proofs. Free mainland delivery. Free document check. A7 printers, A7 printing, A7 business cards, A7 concertinas, A7 brochures, A7 leaflets, A7 flyers, A7 postcards.